This entry was posted on Thursday, December 1st, 2016 at 9:14 pm. 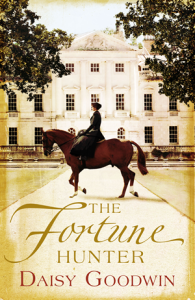 Earlier this fall I finished Daisy Goodwin’s The Fortune Hunter, and enjoyed it. It takes place in the nineteenth century English countryside among royalty, foxhunters, and the well-to-do. If you were a fan of “Downton Abbey,” be sure to pick this one up! I would describe this novel as part romance and part historical fiction. Goodwin clearly knows how England operated in the 1800s, and she also knows horses. We see romance in the form of a love triangle between recent debutante, Charlotte Baird; Captain Bay Middleton, the finest horseman around; and Empress Elizabeth of Austria, aka Sisi. Sisi is a tremendous horsewoman herself, so it’s not surprising that she and Bay bond on horseback while chasing foxes and hounds. The only downside to this novel, in my opinion, was that the action was a bit slow in places, but not slow enough for me to put it down. The rhetoric, descriptions, and subject (obviously – horses) were enough to keep me entertained. Goodwin is also the author of the very well-received, and New York Times Bestseller, The American Heiress. After reading The Fortune Hunter, I will definitely be adding that one to my list! 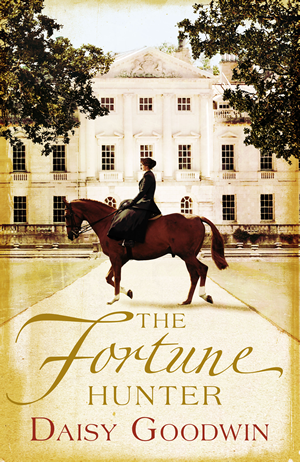 I think any equestrian, foxhunting enthusiast, or aficionado of nineteenth century Europe will love The Fortune Hunter. The ending had me smiling from ear-to-ear!